Palahniuk, Chuck. Survivor. 1999. New York: Norton, 2010. After my post yesterday about needing to support local businesses I decided to stop by the Central Book Exchange on my walk home from the office. I purchased two books that I have been meaning to read. I’ve read relatively little Native American literature, and nothing of Momaday’s, so buying House Made of Dawn is one step toward rectifying this issue. On the other hand, I’ve read lots of Palahniuk, and hadn’t been planning on reading more of him for a while because, while when he is at his best (Fight Club, Invisible Monsters, and maybe Pygmy depending on when you ask me) he is excellent, when he isn’t (Choke, Snuff) he is boring and his attempts to shock the reader feel arch and immature. But one of my students this semester wrote an essay on Survivor that made the novel sound intriguing because it is in backwards order (i.e., page 1 is the last page). As regular readers of my blog know, I am a sucker for postmodern fiction, including that which takes a non-linear form (this is one of the reasons why I love Invisible Monsters, and Invisible Monsters Remix even more so), and I am especially interested in contemporary examples. Thus when I found a used copy of Survivor in excellent condition I had to buy it. Castillo, Ana. The Mixquiahuala Letters. Tempe: Bilingual, 1986. I have enjoyed Castillo’s work for half a decade, but the new-to-me work that I have been reading the past few days has shown me that she is someone I must write scholarship about. It is wonderful to discover an author who fits my interests in ethnic literature, LGBT literature, and postmodern literature. Delany, Samuel R. Starboard Wine: More Notes on the Language of Science Fiction. Rev. Ed. Middletown: Wesleyan UP, 2012. Samuel R. Delany is another rare author who fits my three primary scholarly interests. I have been looking for a copy of Starboard Wine‘s out-of print original 1984 edition for over two years without luck, and then found out a month ago that Wesleyan University Press, which has published or republished most of Delany’s literary criticism, was publishing a revised edition. It just came out, and I am very excited to finally have the chance to read it. Chuck Palahniuk’s Invisible Monsters Remix is a fantastic printed object that deserves space in the canon of American postmodern fiction. It is the 1999 version of Invisible Monsters in its original intended form, which asks the reader to jump back and forth throughout the volume, kind of like a Choose-Your-Own-Adventure book from the 1980s. 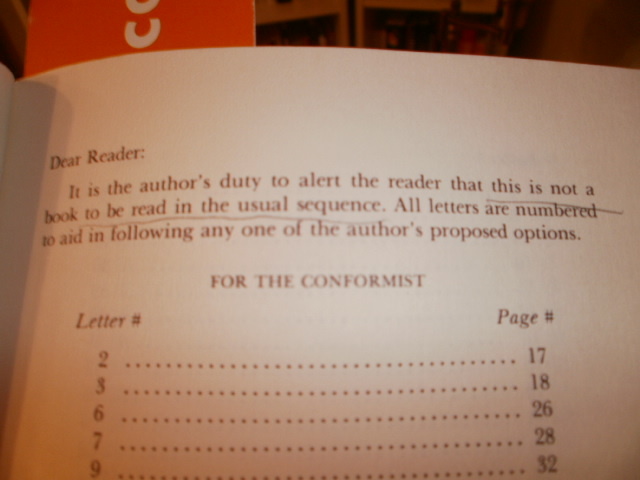 For instance, the end of the introduction instructs the reader to “jump to Chapter Forty-one,” where the novel begins. 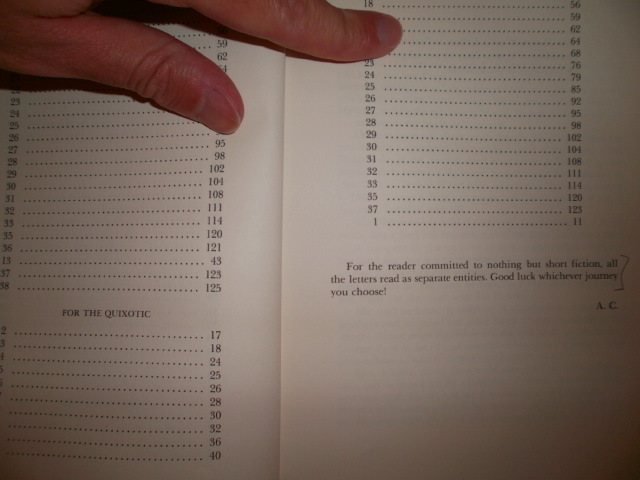 The end of that chapter directs the reader to another chapter, eventually culminating in the final chapter near the middle of the volume, which is marked “The End” in place of further direction. However, this chapter sequence only covers the chapters from the original novel. There are around ten (I’m too lazy to go back and count!) new chapters interspersed throughout the book, some that extend the story of the novel and some that describe its original composition and how the idea for the Remix came about. If one has not been paying attention to which chapters have been read, it is easy to miss these new chapters. But the introduction suggests marking each read page with an X, which is what I did, and then I went through the book looking to check if there were any unread pages, thus discovering the new chapters. There are three sequences of new chapters that loop back on themselves, so the reader could begin with any of the chapters in the sequence and still encounter all of the chapters (e.g., I began the first sequence with chapter three because it was the first unread chapter that I discovered, and the last chapter I read in the sequence directed me back to chapter three, so even if I had begun with a different chapter in the sequence I still would have gotten to all of its chapters). 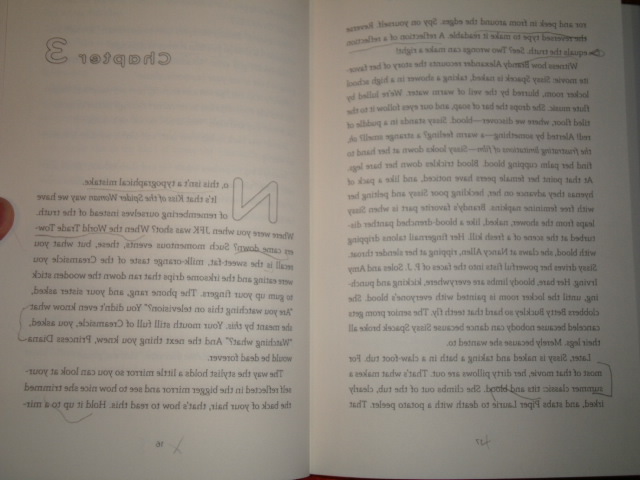 Two of the new sequences involve pages that are printed backwards so that the reader must use a mirror to read them. Pages 16-17 of Invisible Monsters Remix. 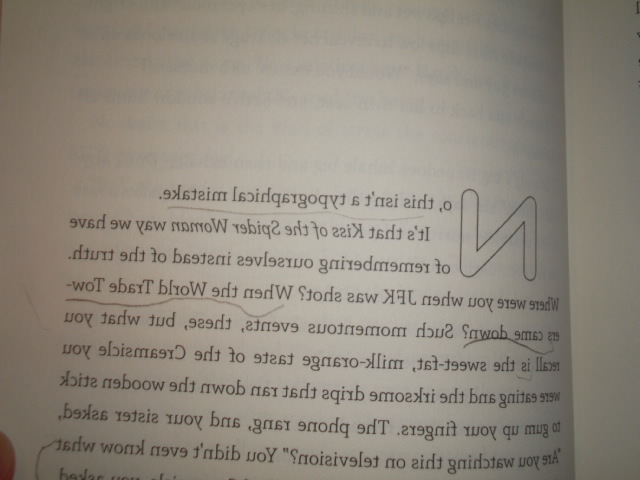 A close-up of page 16 of Invisible Monsters Remix. 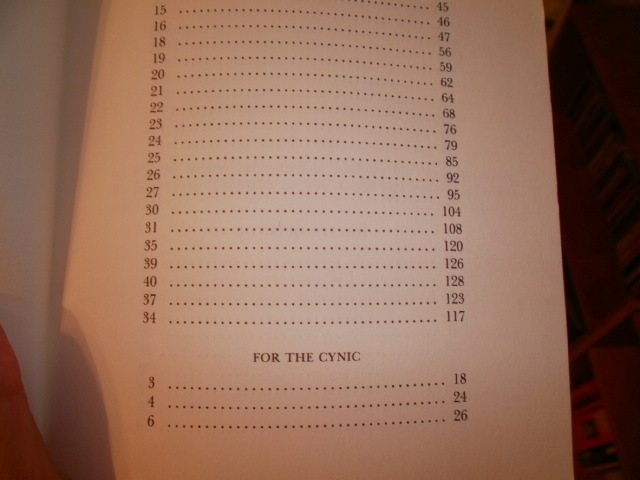 Palahniuk acknowledges that readers “older, than, say, twenty-two” will hate this gimmick (104), but I love it! I appreciate books that try to stretch the limit of what a physical book can be, which is why I like the Remix so much. It combines elements of previous postmodern texts such as B.S. Johnson’s The Unfortunates and Mark Z. Danielewski’s House of Leaves. Even if one is not a fan of Palahniuk, the Remix is worth reading because of how it tries to break through the novel’s conventional generic form. The Puerto Rican-American writer Giannina Braschi’s 1998 novel (this is the best term I can think of for it, though it is only a novel insofar as that term is now so all encompassing, like a giant, shaggy literary beast somewhere between Cookie Monster and Grendel that devours everything in its path) Yo-Yo Boing! (translated into English by Tess O’Dwyer) is a gripping pastiche of a book that is all about voice rather than plot. The bulk of it is a dialogue between unnamed voices, sometimes between two fairly recognizable personas (a woman and man), sometimes between two indestinct personas that are apparently different than the first two (gender unclear), sometimes between at least three personas that are different than all of those which have come before (at least two of them are women). But the rapid-action dialogue is interesting no matter who is speaking. The dialogue meanders from discussions of poetry to discussions of Puerto Rican politics to discussions of academic politics to discussions of bodily excretions, circling back through these topics several times. The last line is “God, who is dead!”, so the book falls firmly into the postmodernist anti-universal narrative camp. The style is like a Puerto Rican Kathy Acker mixed with some James Joyce mixed with some Ernest Hemingway mixed with just a dash of Samuel R. Delany. This hodgepodge might alienate many readers, but I really enjoy it, and look forward to reading more of Braschi’s work.